Tam Coc and Ninh Binh, the “Halong Bay on land”. 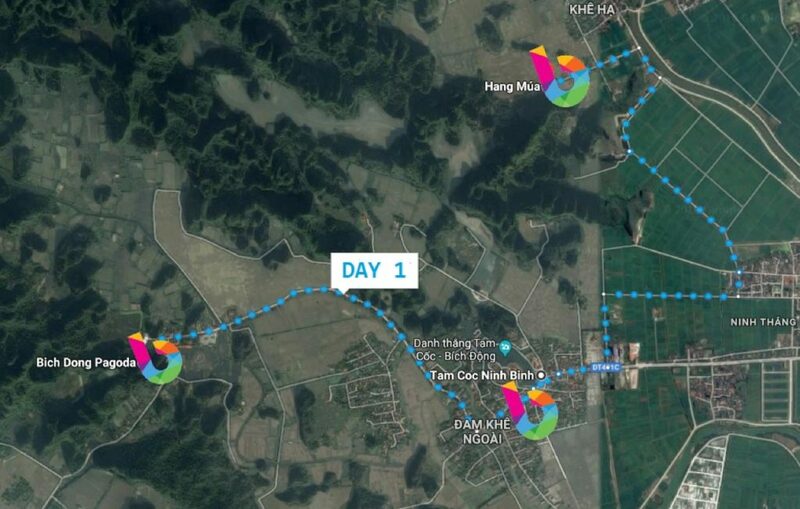 What can you do in Tam Coc if you have two days? What are the main attractions not to be missed in this area? Tam coc is a small town, south of Hanoi, that has recently opened up to tourism. 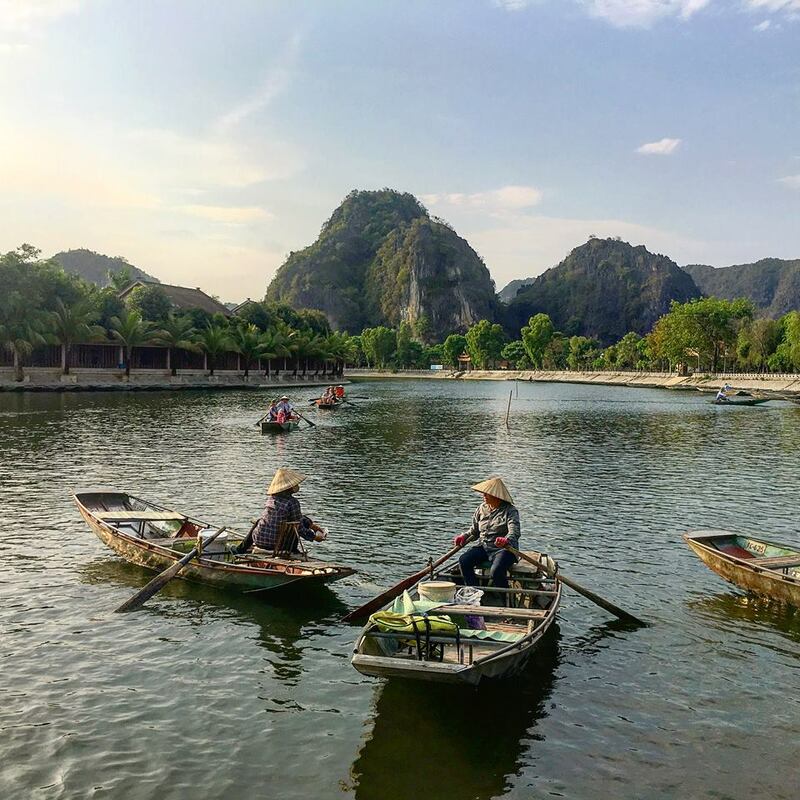 The main reason to include Tam Coc in a trip to Vietnam is certainly the possibility to explore, on a rowing boat, caves and temples built on the river. But there is much more to do in Tam Coc and in the area around Ninh Binh. With two days available, here’s the complete itinerary we followed. It is a quiet itinerary that allows you to see the best, without running to much. 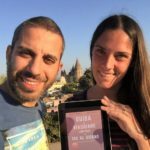 For the first day, it is enough to rent a bicycle (available in many guesthouses for less than 2 euro) as distances are not long. For the second day, on the other hand, we thought of an itinerary which is a bit longer. In this case, therefore, a moped is the ideal and practical solution. The first day itinerary takes place in the immediate vicinity of the village. Tam coc, also called “the Halong Bay on land” is famous for rocks coming out of rice fields. To explore the area it is possible to take a boat tour (not reccommended here, much better to do it in Trang An – see below) or rent a bicycle and follow the dirt streets starting from the village and leading in the middle of the rice paddies. Time: it all depends on how many photos you want to take to the green fields of rice. A few km from town, Bich Dong pagoda consists of 3 temples built at 3 different levels on the side of a mountain. Better to wear shoes to climb the slippery steps connecting the three temples, where various images of the Buddha are preserved. The last of the temples, the higher one, can be reached through a suggestive cave, once used by Vietnameses to hide during the war. 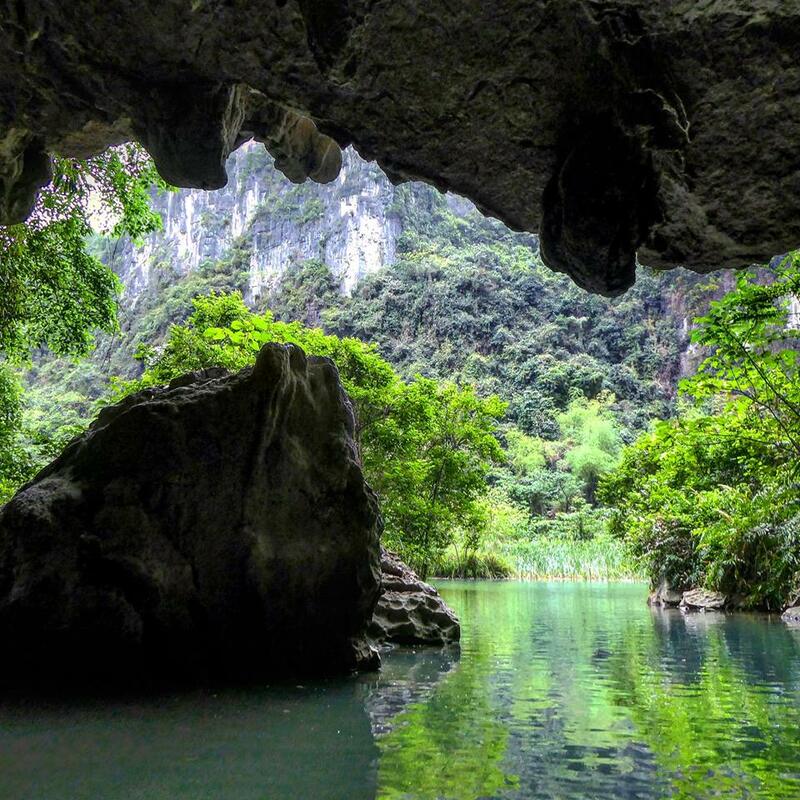 This third place to visit is also called Hang Nua caves. The caves here are not a big deal. The real reason to get here is to climb up the 500 and more steps and enjoy a gorgeous view. 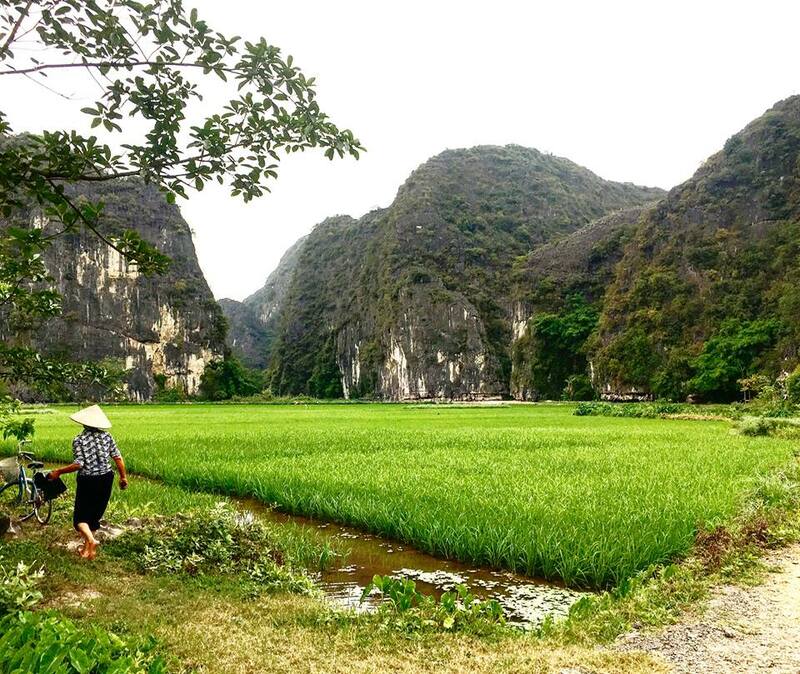 The valley of Tam Coc, with its rice fields, the river and mountains coming out of the water, repay the effort of the climb. If it rains, or the clouds are very low, it’s really not worth going there. Cost: 30.000 dong for the entry, plus the parking for the bike. 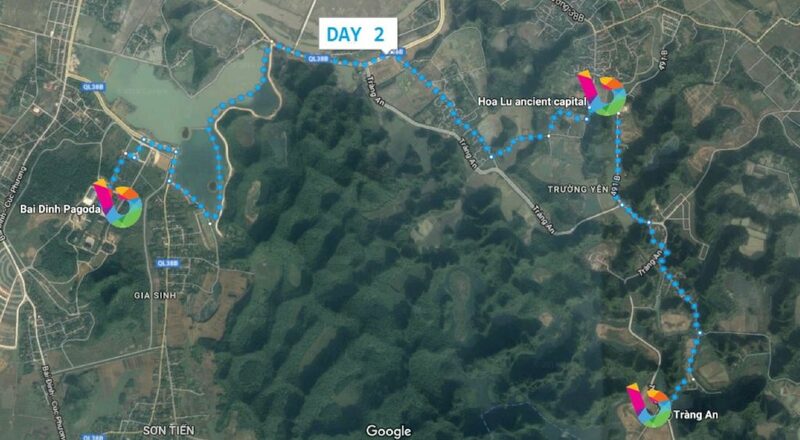 Day two in Tam Coc is more challenging in terms of distances to travel and timing. You will definitely need a moped that you can rent in one of the many shops on the main road (cost 100.000 DONG). The streets to reach the different locations are all paved and really beautiful to ride. 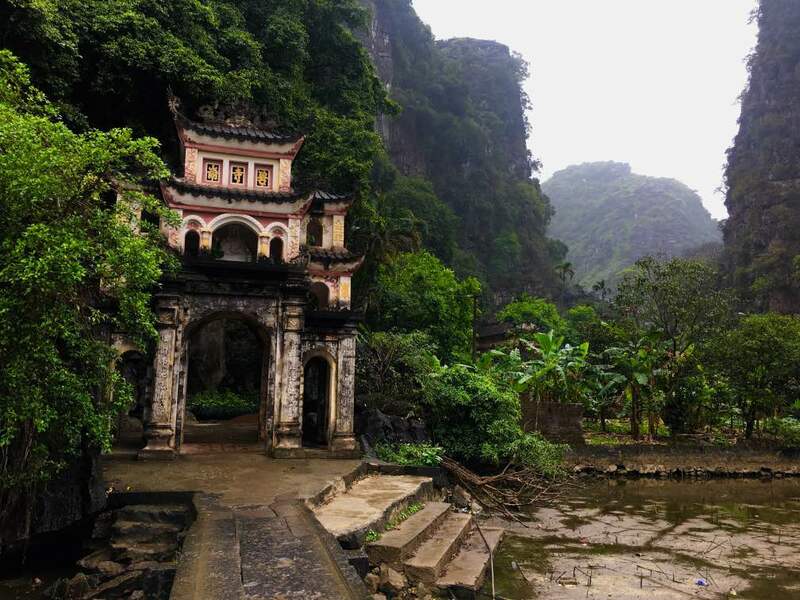 Unesco World Heritage, Trang an is a very suggestive place. The main attraction is the river from which huge rocks covered with vegetation come out. The best way to visit the area is to get on a rowing boat driven by expert ladies on the river. 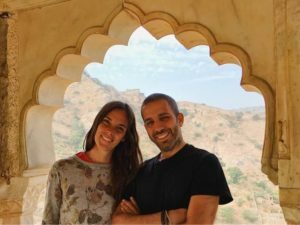 You can choose 3 different routes and visit many caves and temples along the way. Since the path is so long, helping the lady who row is in obligation, as well as being fun. Cost: 280.000 dong per person + 5.000 for bike parking. The lady who row will ask you for a tip… it’s up to you, although in theory the fixed cost of the entry (very high) includes already everything! Hoa Lu is the ancient capital of the Dinh and Le dynasties. Consisting of a series of ruins, it is about 20 km from Tam Coc. Only a couple of temples are open but it is worth stopping at Hoa Lu for the surrounding landscape. If you want to do about 200 steps and climb to the tomb of the emperor placed on a mountain… the view from above is obscured by high trees. Bai Dinh pagoda is one of Vietnam’s largest Buddhist religious complexes, but it is strangely not visited by foreign tourists. Everything is extremely huge. The High Pagoda, the giant statue of “Chubby Buddha” on the hill and the lavish and huge temples. It’s really worth going there.